There are always plenty of free goodies you get when attending a conference. Sometimes they are useless and end up in the trash. Other times, the goodie bag may blow your mind, like the one I received at the Women in Travel Summit. Not only was this bag overflowing with goodies, but the bag itself was actually the best gift of all! 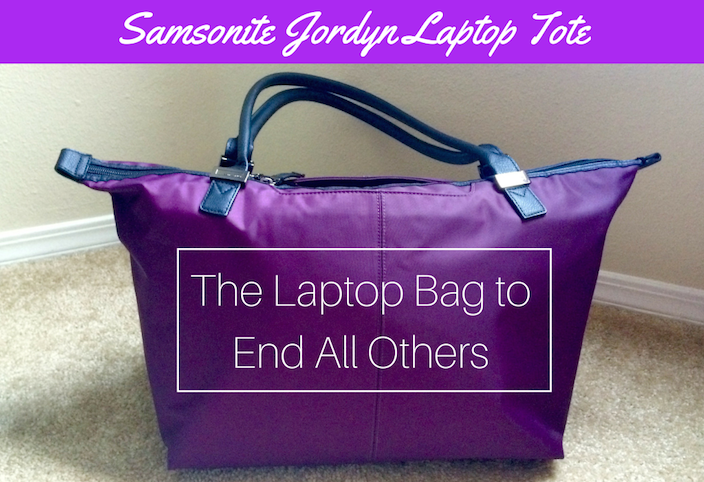 The Samsonite Jordyn Laptop Tote is the bag you’ve always wanted but didn’t think it existed. 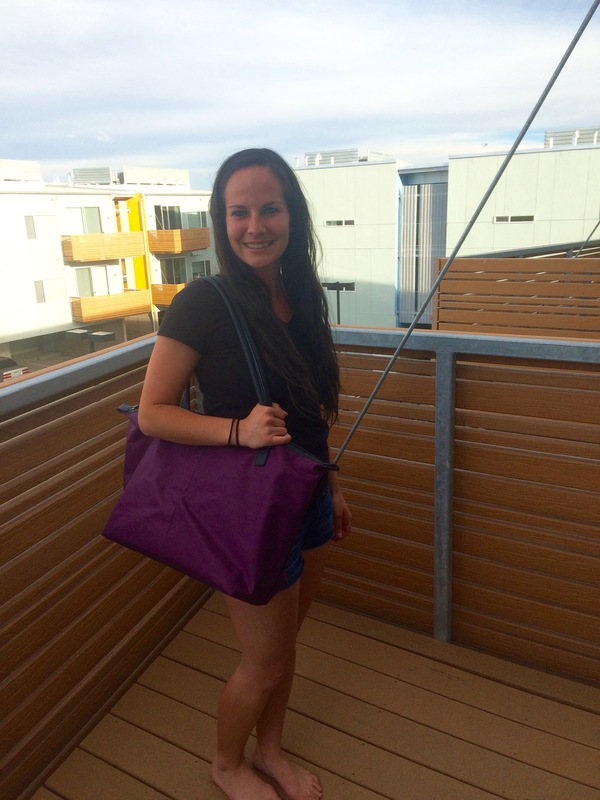 From the outside, the bag looks stylish and is perfect for just about any occasion. 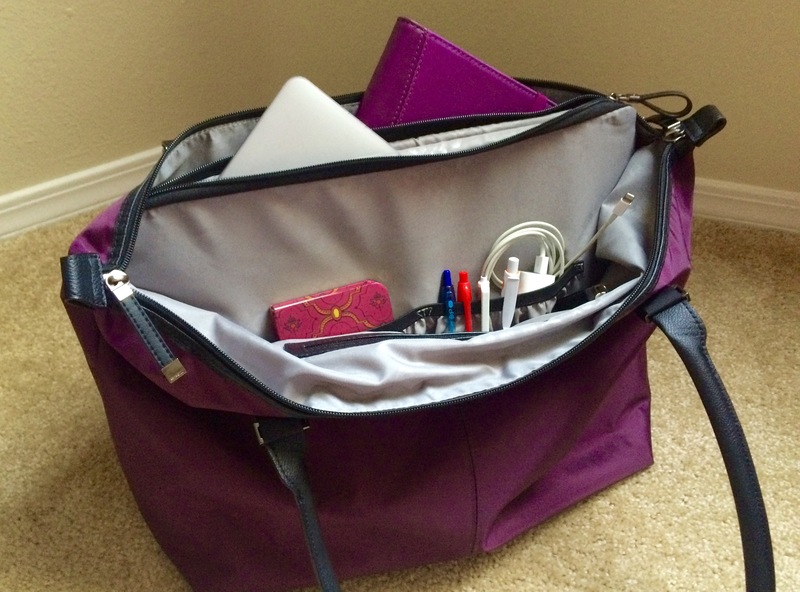 It’s the perfect bag to carry to and from work or class, on business trips, or simply as a convenient carry on while traveling. It fits comfortably under the plane seat in front of me and also sits nicely on top of my luggage when standing in line. 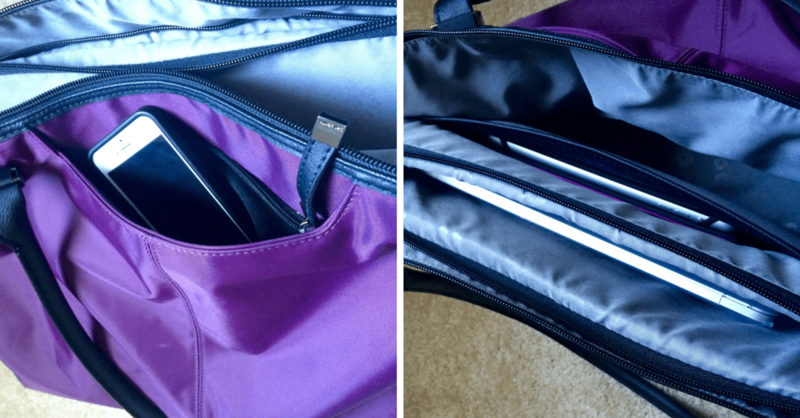 Right in the middle of the bag is a padded laptop compartment so you don’t have to worry about it being damaged, and it can fit up to a 15.6″ laptop inside. There are also compartments for you to store your iPad or tablet securely. I especially love the zippered pouch in the front to store my phone as I can access it quickly and conveniently without digging around. The Samsonite Jordyn Laptop Tote is my Mary Poppins bag. You can fit SO much inside this bag, and with the many different compartments it’s much easier to not lose things in the abyss of a large bag. If you are carrying electronics around, this is the bag for you. I use this bag all the time, not only as a carry-on but also as an every day bag when going to and from the coffee shop or library to work. It fits my laptop perfectly and I don’t need to worry about it getting scratched or beat up in my bag thanks to the convenient padded laptop case in the center. 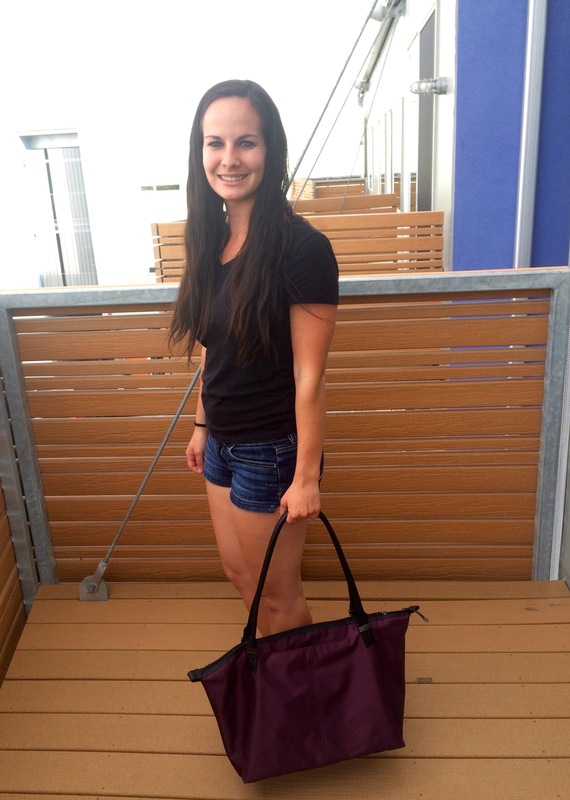 Do yourself a favor and get a Samsonite Jordyn Laptop Tote to make your daily commute and business trips much easier! Order Your Laptop Bag Today! Such a pretty bag! And a lot of convenient compartments to keep your valuables safe. It is the perfect bag! Multi-use and fashionable too! This looks like the kind of bag I need. It shows there is a strap that helps connect it to rolling luggage. Have you used this? My biggest problem when I have is when I put bags on wheeled luggage it ends up falling every 10 minutes or so. Any experience with that? Hi Jackie, yes I actually don’t even need the strap! I use it on my rolling luggage all the time and loop the bag handles around my luggage handle. It works like a charm! I love how easily it stays on top… makes getting through the airport so much easier! Your bags are just amazing! i really liked the colours of the bag.